5 reasons to invest in good acoustics! Investing in good acoustics, why would you do that? Does it yield or cost? In this article we give you the 5 main reasons for investing in good acoustics and you’ll discover that it ultimately saves money instead of costs. What does acoustics do to you? Poor acoustics is in place 2 of the most common complaints about the work environment. Only 57% of employees indicate that they can work productively. We can mention hundreds of reasons why invest in acoustic solutions. Below you will find the 5 most important ones. Maintaining concentration is mainly a problem in offices where a lot of communication/calling is being done. Here, noise and movement stimuli arise which are very disturbing and reduce the productivity of the employees. Research shows that the loss of concentration/interruption can take as long as 10-15 minutes, reducing productivity by 10-15% in one day. The figures do not lie, 60% of our time is spent on concentration work. A good acoustic environment can reduce adrenaline levels by 30%, increase task motivation by 66% and improve performance and accuracy by up to 50% in complex tasks. Exposure to noise is significantly correlated with absenteeism. Everyone knows the situation when he has to concentrate in a noisy space or when you have been in a full swimming pool for example. You are tired at the end of the day and it takes a lot of energy to keep your head. Logical, because your brain is constantly stimulated. Long-term exposure to this excess of stimuli is not good for your health and can trigger the production of stress hormones. The complaints that many people face every day are complaints such as headache, dizziness, stress, fatigue, irritation and loss of concentration. In bad cases, poor acoustics can even lead to long-term illness or hearing damage, heart failure and voice problems. Partly as a result of this, acoustics are also high on the agenda at the Occupational Health & Safety Act and within the Buildings Decree. When employees can work quietly without being constantly distracted by movement and noise, they will experience their workplace as more pleasant. 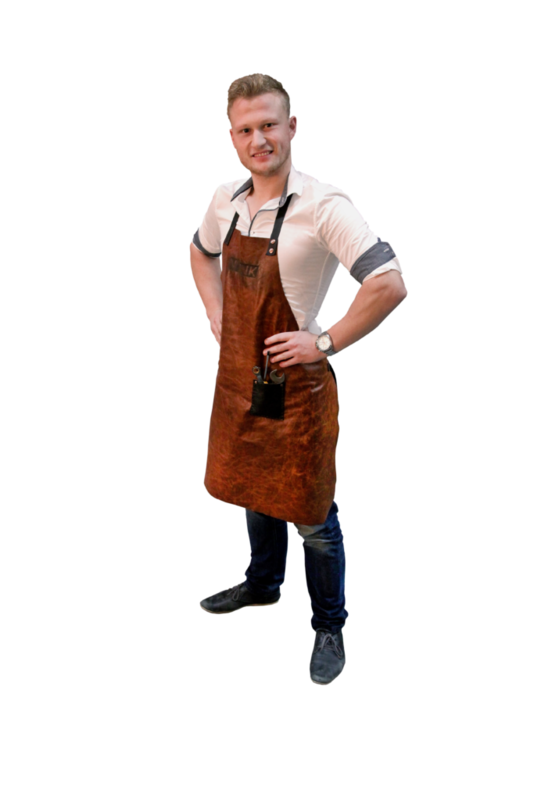 Here they can not only work more efficiently, but also a lot better. By ensuring that the acoustic climate in the room is good, symptoms such as stress, headaches, fatigue and irritations will also decrease significantly. A proper balance will always have to be found between the isolation of distraction incentives and the social aspect. Employees do not want to be placed in ‘booths’, because this restricts mutual interaction. We are happy to advise you on how to keep the open character in a room, but still optimize the acoustics. For this you can contact us without obligation. Acoustics therefore has a major impact on employee performance, absenteeism and satisfaction. Research by IPSOS shows that office workers even lose 86 minutes a day due to distractions and interruptions. When investments are made in acoustic solutions, investments are actually made in cost savings and satisfied employees. How do you invest in good acoustics? Bad acoustics negatively affect the productivity and health of employees. When is there then the right acoustics? 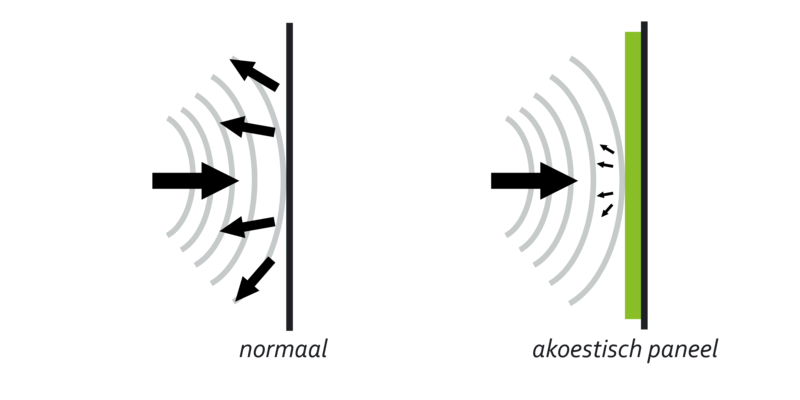 In general, an acoustic problem is reduced by intercepting the sound as close to the source as possible, for example by means of acoustic panels. A good acoustic panel has an absorption value of αw 0.95. This means that 95% of the noise that hits the panel is absorbed and is not reflected back into space. We produce acoustic solutions for every situation entirely tailored and can offer a real solution. The conclusion of this article is: Acoustic solutions deliver money! View the acoustic solutions that we can produce for your office and get advice from one of our professionals.